Free Hospitality Printable PDF Resource! I’ll be organizing a homemaking workshop for girls ages 8-11 this year and I’m busy organizing all the resources! I wanted to share this quick Hospitality Resource I created. Feel free to print this resource for yourself or your family. Hope you enjoy it! Hospitality Isn’t Just For Guests… It is For Our Families Too! On Sunday, I got a call from my daughter’s father that he was taking her to urgent care because she wasn’t feeling well. Well, that’s all I needed to hear for me to peel out of the parking lot I was about to park in to see an impromptu movie and head up 495 to see what was going on with my sweet girl. After an x-ray and a dramatic finger prick to draw some blood, I discovered that she had pneumonia… well as you can imagine my heart dropped. The doctor convinced me it wasn’t as bad as it sounded and after the antibiotics she should be fine. But, obviously the first thing I wanted to do was pick her up in my arms and bring her home… which is what I did. When we got home I gave her the first dose of her medicine and then she looked at me very seriously and said, “Momma, I need some hospitality.” Whenever Anya isn’t feeling well or has had a rough day those are the words come out of her mouth. I find it interesting that even a 7 year old appreciates hospitality. Most of us when we think of hospitality think of it in terms of how we treat or receive our guests. But, I believe that as moms we should spread that hospitality to our families. How do we treat and receive our families in our home? What is the attitude we give to our family when we are serving them? Do we take the time to greet our family when they come in or are we barking out orders? Are we warmly receiving them or are we constantly rushing them out the door? What kind of home are we creating, is it peaceful, warm, nurturing and loving? Hospitality encompasses all of those things that make a house a home. I strive to have a comfortable home not because I like how it looks, but because I want to create a beautiful family life for my daughter. I choose not to live in a chaotic home where we’re rushed, unorganized, and on edge. I try my best to create an environment that Anya enjoys and looks forward to growing up in. 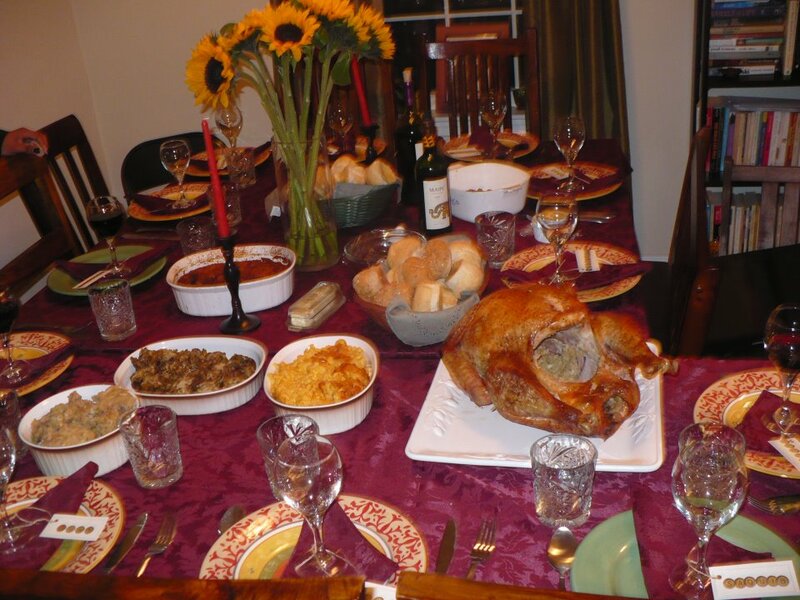 I try to create traditions that encourage hospitality in our home and our hearts. The greatest commandment is to love one another. I think that hospitality is one of the ways we begin to do this in our everyday encounters. What better place to start than in our homes with our families? I can remember being a young girl sitting around the table at my grandma’s house when her sisters would come over. There would be 7 of the Tassone sisters sitting around the table drinking coffee and eating Stella Dora cookies or some other treat, laughing and recalling stories of their past. I always felt like a big old warm blanket was covering me. It was safe, cozy, loving and filled with joy. I can still hear their laughter and I cherish those memories. My grandma didn’t have a big lavish house, but she did have a big heart and her hospitality came through her heart, hands, and home. Those joyous days left an indelible mark on me and I find myself trying to recreate some version of that in my own life with Anya. The hospitality we show our children will stay with them throughout their lifetime. I already see the impression it has made on my daughter. So, the past couple days I’ve been putting my best hospitality skills to use and giving Anya an extra dose of love along with lots of kisses, hugs, cooking her favorite foods, giving her long baths, reading her books, giving her little surprise treats, and of course making her some homemade cookies 🙂 Don’t save all of your hospitality for your guests, shower it on your family too! Some of the Tassone sisters that sat around the table. 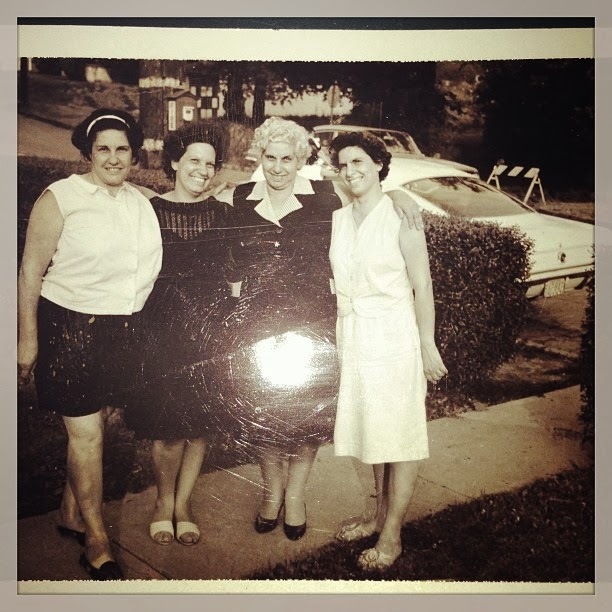 Left to Right: Aunt Lucy, my Grandma, Aunt Rosie and Aunt Stella. The Easter Bunny Came to Town! Yes.. Another Party! This is our Easter Egg Craft Station! The girls got to due their eggs and put all kind of fun rhinestones on them! My cupcake creation! Instead of buying cupcakes, Anya and I made some yummy chocolate cupcakes with a little Easter flair! This platter is my grandma Eva’s. I always try to incorporate touches from her. A shot of the table. The teapot was from Anya’s teaparty last year and most of the other decorations are dollar store and Michaels. The tablecloth was 12 bucks from Target. The tulips were lovely and on sale for $3! The food was simple. PB&J sandwiches, fruit, turkey, cheese, and spinach rolls, and goodies! Anya picked out these gloves for the ladies, they were $1 at Targets..so cute! I love bringing the outdoors in. The pretty place setting with the vintage name tags I got from Michaels. I added the little rose. This Picture doesn’t do justice to the pretty flowers hanging, they really added a sweet touch. There are also butterfly catchers hanging that bring in a spring attitude! My favorite corner! I made the crosses and eggs from pretty scrapbook paper and strung them up. The cherry blossom branch I got free from work, and the little flowers on the vase I pasted on from Michaels. Just a few chicks and pinwheels! The Easter Egg hunt is on! I strung up tulip and egg doilies around the yard and taped them down on the rocks to create a little pathway to begin the hunt. No party is complete without best friends taking a picture together! I realized I also needed goody bags. So instead of spending more money I created these little diddies with a paper bag, doilies, and stickers. The kids liked them and so did my wallet. Each one of them also received a cross to take home and paint along with seeds to plant. Just another touch of Easter. I yearn to be home. I love lying in my bed, curling up on my favorite chair in the living room, hosting dinner parties in my dining room, and creating a haven for my daughter and myself. 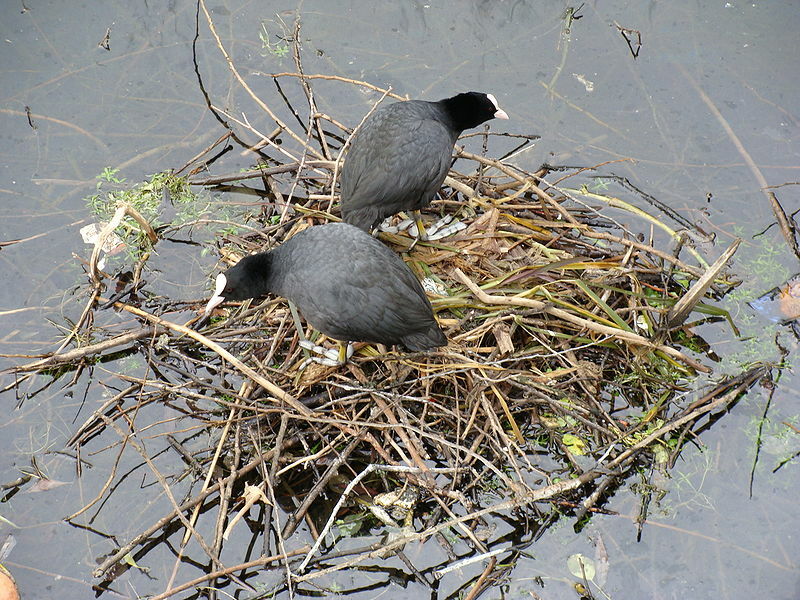 I’m in the mood to nest, and it isn’t a passing fancy. I find such solace in being home surrounded by everything I love, whether it is old black and white pictures of my grandma, books, or comfy throws. Home is the place I come to unwind and shut out the craziness of the outside world. I think that is why I so desperately want to find a job that will allow me to work at home fulltime because of my desire to be home, especially with my daughter. My space is sacred and I try to keep it as calm, loving, and welcoming as possible. I love how my home holds memories, and I love creating them. I get such joy when Anya expresses to me how much she loves being home, there really is no place she would rather be, unless she was swimming in a pool of chocolate LOL. But, in all seriousness I think she feels safe, relaxed and loved in our home and as a mom I’m so happy I can provide her with that. I’ve realized that the little touches make the biggest difference. It isn’t the fine china that makes a home it is all the love you put into it. It is the respect you have for your home, the small things you do to make it homey, the smells, the sounds, it is everything you create it to be. I finally understand why my grandmother spent so much time cooking, cleaning and making her home a home for her family, it was a her gift to us. So this weekend I plan to nest away and enjoy home sweet home. Happy Nesting! Listen to this Great Podcast on Hospitality! A friend and I were just texting about hospitality (Lola!). I am always being teased because I go a bit overboard with parties and decorations and such! Yes, I do, but I love it! However, hospitality isn’t in the decorations it is in our hearts! I just heard this great podcast on hospitality and thought I’d share it with you all.